It’s a long time ago now, and I rarely see the inside of a church nowadays, but I can still remember the story of Lent. Jesus went into the desert for forty days and forty nights, swore off Taytos and Crunchies, came out for a pint on St Patrick’s day, had the devil tempting him with all sorts (Smokey Bacon, maybe, or Salt ‘n’ Vinegar) and then, when the forty days were up, returned to civilisation for a celebratory chocolate bar to mark the glorious feast of Easter. Which, of course, began with him being nailed to a cross and bleeding to death. To commemorate Jesus’ sacrifices in the desert, his loyal followers are asked to fast for forty days before Easter, in a period called Lent. Nothing to do with the “length” it goes on for, the name Lent comes from the old German for spring. Lent was once a very grim time indeed for devout Catholics. In the middle ages it meant no meat or dairy. Fish was the order of the day. St Thomas Aquinas believed that meat incited lust in men and that kind of nonsense was simply out of the question at such a solemn time of year. Interestingly, water birds like ducks and geese were reclassified as fish in Tudor times, meaning they could be eaten during Lent. Even as recently in the 1950s, Irish people were expected to subsist on just one meal a day, and abstain from drink and goodies. Dancing was banned during Lent, as were weddings. Meat was not forbidden, but was to be avoided. In short, there was zero craic. By the time my childhood rolled round, Lent was a lot more lenient. But it was still a big deal. The teacher whirred around the classroom asking everyone was going to sacrifice for Lent. I don’t remember it ever being a huge wrench, denying myself whatever I’d given up. Maybe it’s because I always picked something like Bounty bars, which I detested anyway. I was a sneaky one. When I was about ten, a girl in my class gave up TV for Lent. I looked at her in awe. Forty dayswithout The Den? How would she survive? Her whole family had decided to switch off the box in solidarity and I was even more gobsmacked when she professed they didn’t miss it. Giving up crisps was all well and good, but this sort of masochism was a bridge too far. 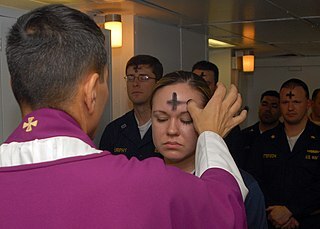 Lent was a given in primary school, but in college it is surprising the amount of students that still partake in Lent. I’m not one of them. I honestly forget when Lent is, and then forget what I’m giving up, and then forget I’ve made a vow, and then eat or do whatever I said I won’t. However, just like in my childhood, not everyone is so weak-willed. A high proportion of college students do give up something for Lent. They may be religious, or they may not be. In the last census, 87% of Irish people identified as Catholic. While many of our generation are lapsed, their Catholic upbringing comes to the fore at this time of year. I’ll never forget in first year someone crossly asking me if I was a Protestant because I, having forgotten yet again, ate beef lasagne on Ash Wednesday. So why do so many people still sacrifice something for Lent? It’s hardly to please our parents. It’s easy enough to lie when you’re away at college. Some, of course, do it because they are practising Catholics, but what about those who aren’t? Some might do it for a challenge, or for charity. Lent is also the time of the Trocáire box. It’s a time to give to the less fortunate around the world, and to reflect on how lucky we have it compared to many others. Yikes! Now that I’m on a real guilt trip, maybe it’s time to put down the Crème Eggs? This article appeared in Sin on March 12 2012.